All residents of North Carolina are represented in the United States Senate by both Senators Richard Burr and Thom Tillis. Representation in the NC House, the NC Senate, and the US House is determined by district. Each resident of the state has one representative in each of those legislative bodies, determined by the district in which their residence falls. Detailed district plan information, including maps and reports, can be found via the NCGA redistricting page. Start typing in the box in the upper right corner of the map. Once the desired address displays in the suggestion list, click on it. The selected address will display at the top of the results section, with district assignments below. Click on a representative&apos;s name to open their web page in a new tab. Click on one of the district links to zoom the map to that district. Click on the address at the top to zoom back to it. Clicking within any district will display a pop-up with information for that district. If you click near a district line, the resulting pop-up may have multiple &apos;pages&apos;. Note that this tool works by retrieving a point location from a commercial address look-up service. Representation is listed for the districts in which the returned point falls. Locations for rural addresses in particular can sometimes be approximate. Please do scrutinize the map to verify that the address point shown is as expected. The map-based lookup tool is temporarily unavailable. It will be restored soon! In the meantime, you may find the District Map Viewer to be helpful. With it, you can search for an address, though you do have to manually switch district layers, and click on a district to see who represents it. If you know the particular district you are interested in, you can find who represents that district directly by selecting it from one of the lists below. Choose one of the 100 counties from the list below to see the NC House and NC Senate members that represent it. Be aware that any one of the representatives listed may represent only a portion of the county, and not necessarily the portion you are interested in. You may also want to view the House Representation by County and Senate Representation by County listings. Each county board of elections is responsible for determining district assignments for all registered voters in their county. They are very familiar with their local geography and are therefore a good source for identifying your representatives.  The State Board of Elections maintains contact information for all 100 county boards of election in North Carolina. If you are a registered voter, you can access your registration information, including district assignments, by using the State Board of Elections' Voter Lookup tool. Note, however, that when an upcoming election will be held using new districts, the voter lookup tool will return those new districts, rather than the districts under which you are currently represented.